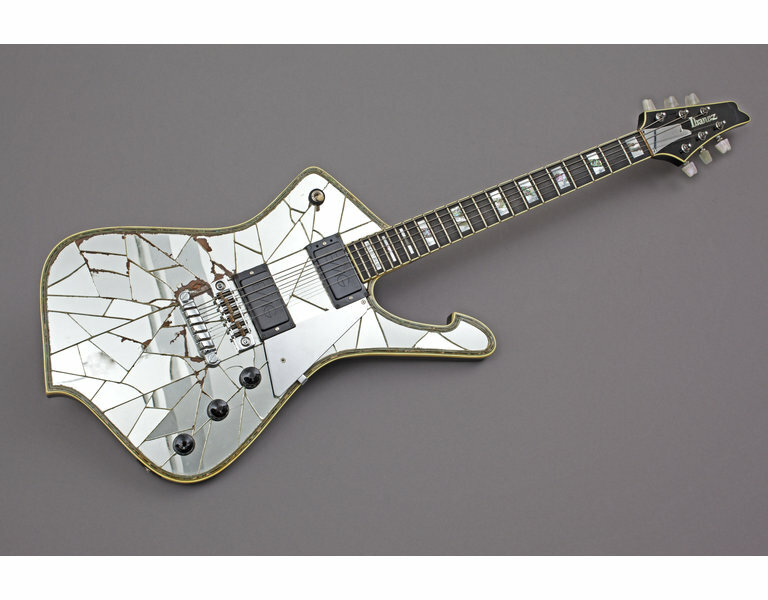 Given by Kiss via Press Office Ltd.
An Iceman electric guitar, customised with a ‘cracked-mirror’ effect, from the Japanese company Ibanez. This guitar belonged to Paul Stanley, who is the rhythm guitarist and vocalist with the American rock group Kiss. He played this guitar on stage about 1979-80. When hit with a spotlight, rays of light would glance off the guitar’s body at different angles, creating a mirror ball effect. 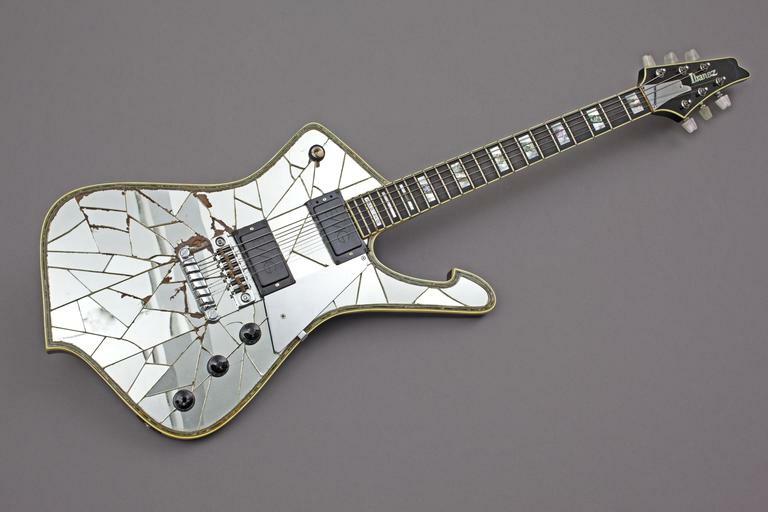 It was customised to Stanley's design by Jeff Hasselberger, an employee of the American distribution arm of Ibanez. As Hasselberger recounts it, this guitar was designed to ‘damage some corneas as well as some eardrums’. Length: 109.5 cm guitar approx., Width: 33.5 cm body of guitar at widst point approx., Depth: 7.5 cm guitar approx., Height: 11 cm travelling case approx., Length: 115 cm travelling case approx., Width: 39 cm travelling case approx. 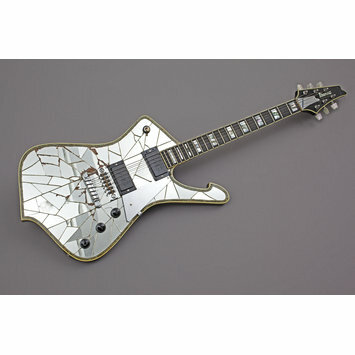 This guitar was owned by Paul ‘The Starchild’ Stanley, rhythm guitarist and vocalist with the American rock band Kiss. The band were famous for their alter-ego face paint, flamboyant stage outfits and elaborate shows. The guitar was modified with broken mirror-glass to Stanley’s specifications so that, when played on stage, light bouncing off the shards would create a glitter-ball effect.